So, I hope I'm not the only one who's indulged in some fantasies of an iDOLM@STER crossover in a fighting game! Maybe a stand-alone game as well, but I couldn't pass up the "Haruka trip chance" joke. Ich sah mein Bruder sterben: Basically? A Lucario clone. Ich sah mein Bruder sterben: Even replace Lucario with Hibiki. Ich sah mein Bruder sterben: But change the aura-fist thingies to be Hamzuo-aura. Ich sah mein Bruder sterben: But then we can't have a Hamzuo aura. Waifu=Layton: except what could replace the hammer? Ich sah mein Bruder sterben: The hammer works fine. I think. Ich sah mein Bruder sterben: But it's not like it doesn't work or anything. Ich sah mein Bruder sterben: Dude. Ich sah mein Bruder sterben: Dedede's Down-B. How do. Waifu=Layton: that seems like a good cover up. I cannot be the only one sold on a Hibicycle replacement for Yoshi's side-B. Also other silly jokes. What do you think, seriously and joking? Smash attacks? Yukiho's shovel as an item? Discuss. This is the first thing I thought of when I saw that Namco was working on SSB4 with Nintendo, but I knew it wouldn't work. iM@S doesn't fit into Smash Bros. The only other character in Smash Bros that lives in a "realistic" world is Snake, but he has his actual weapons to fight with. iM@S characters would just look ridiculous and out of place. They could work as trophies or stickers, maybe. It doesn't seem like it could work. They'd probably show up as trophies and stickers. 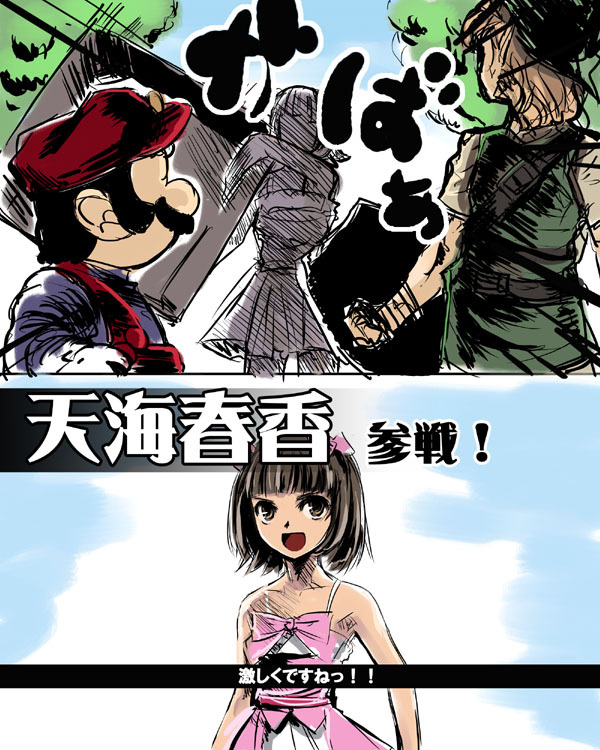 I'd love to see Makoto as an assist trophy, though. Now that I think about it, I would love to see Mugen Gattai Kisaragi as an assist trophy. That would make my day/year/life. It's hard to say. iDOLM@STER's hasn't appeared on a Nintendo console, and didn't they say something about dropping third-party characters? I'd assume that stretched to trophies and stickers as well. Cool as it would be. Try the code tag? Is that what you're asking? There were iM@S games on the DS. Also, the amount of Namco characters and franchises in the new games is unconfirmed. It could be 0, it could be a lot. 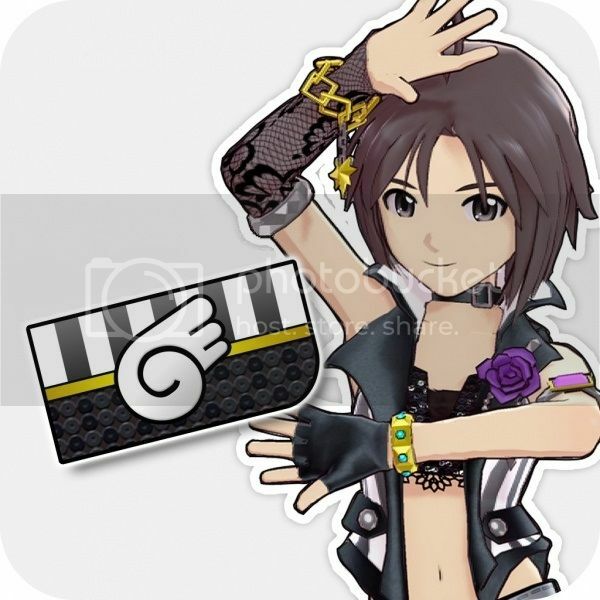 If ever iMAS does get represented in SSB4, it may most likely go to one of the DS characters, since they did star on a Nintendo console. Anything other than that could mean that there maybe another, maybe main game in Nintendo's future. We may never know, but I'd like to see where this is going. Since Namco is helping, I'm pretty sure we would see Tales characters, like Emil or Yuri. But yea, they don't want too many third-party characters. And the DS cast will come back on a Nintendo system. Preferably the Wii U. My thought is that Namco Bandai will eventually make their own Smash Bros clone, seeing as how they have two fighting game franchises and half-a-dozen RPG franchises already under their belt to make a game out of (Namco X Capcom, anyone?) There would be an IM@S stage where the idols sing in the background and you're randomly attacked by Puchis. Makoto would be a shoe-in as a playable character, and maybe they could use some creative licensing and have Iori mimic other characters voiced by Kugimiya (Oh, how I'd just LOVE to use Mizore Shirayuki's ice powers! You hear me, Namco Bandai! Make sure Mizore is in Project Versus J!). Otaking Mikohani, soon to be the greatest otaku in the world!